Question: To which yoga branch do you belong to and what do you teach your disciples? Swami Tirtha: Myself I belong to the bhakti school of yoga. This is the path of dedication, or we can say, the path of worship. Because there are the karma-kanda, the gyana-kanda and the upasana-kanda sections of the Vedas. 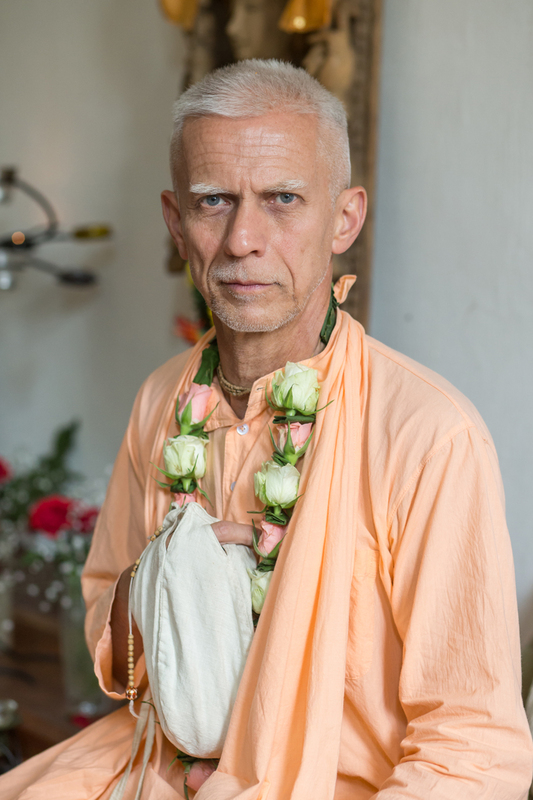 Karma-kanda means the ritual action, gyana-kanda means the theoretical investigation and upasana-kanda means the way of worship, when you develop a personal inclination to come closer and to serve the Supreme. So I belong to this latter school, bhakti, the path of dedication and divine love. And what do I teach to my disciples? First of all I would like to learn from my disciples, because I can learn dedication, enthusiasm and these types of very good qualities from them. But in exchange I try to share with them and with people in general what I have learned from my masters. I teach that the essence of yoga is that man is more like a soul, a spirit that has a body, than a body which sometimes has a soul. And I want to help them to find their own ways for this living and loving connection to the Supreme so that this is not only a ritualistic, classical or official way, but that their faith should be a living faith. Otherwise in our initiation system, we have three requirements. The candidates should approach the Supreme as a loving God, God of love; they should study, follow and put into practice the principles and recommendations that are favorable for our spiritual practices – including ahimsa, including private meditations and joint services; and finally they should express their commitment actively, they should be active members of the smaller and the greater society. Focus on God, focus on the teachings and focus on sanga.